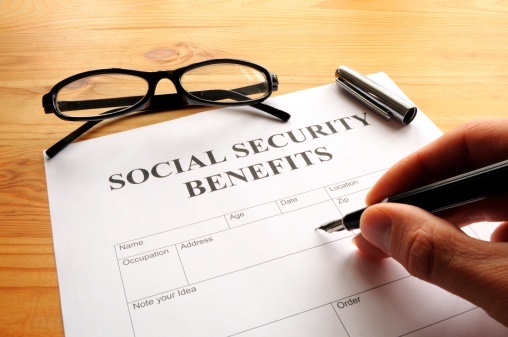 Making the most of your Social Security Disability case - Harrison White, P.C. Thousands of people leave work each year due to illness or injury and are unable to return. As a result, many of these people apply for Social Security Disability. Social Security Disability is a program set up by the federal government for those who are unable to work for more than a year due to some physical or mental disability. You do not have to be completely bedridden in order to be approved for SSD, but you do have to show that you are unable to perform any type of job. If you think that you may qualify, you can apply by calling the Social Security Administration at 1-800-772-1213. You will then set up an appointment to complete the application either at a local Social Security Office or by telephone. You also can apply online at www.ssa.gov. If you are initially denied, you must appeal that decision within sixty (60) days and continue appealing any denials until you get a hearing before an administrative law judge. The best time to hire an attorney is after you are denied for the first time. This gives the attorney plenty of time to prepare medical evidence for your case. In any event, you should not go to a Social Security hearing without an attorney. The issues at hearing are complex, and the hearing date is the most important time in your disability case. The experienced disability attorneys at Harrison, White, Smith, & Coggins, P.C., can help you with all aspects of your case, from the pre-hearing work up, to the hearing, and even with further appeals, if additional steps are necessary. You do not have to have money to hire an attorney to represent you in a Social Security claim. Our fee is paid from your back benefits, and the most you will pay is twenty five percent (25%) of the benefits due to you or your family members, with a maximum fee of $6,000. The only other charges are for the costs of obtaining medical records. If you do not receive benefits, then you do not owe us a fee for our legal services. Unfortunately, most people who apply end up waiting more than a year for a hearing. One of the most common questions we hear from clients is, “How can I get a hearing more quickly?” The answer is that it is difficult to speed up a hearing date. New procedures by the Social Security Administration have decreased the wait time, but they generally must hear applications in the order that they are received. The more important question for a SSD claimant to ask is, “How can I help my lawyer make my case better?” If a case is well worked up, it stands a better chance of being selected for an “on the record” decision without a hearing, thereby shortening the wait time for disability. One thing that you can do is continue to go to the doctor. Even if you have to prioritize your spending differently for a while, you should try to keep a relationship with a family doctor and visit at least every 2-3 months. It is very important to continue to obtain medical records, because that will be your best evidence for the Social Security Administration that you are disabled. Even if money is tight, most communities have free or low cost medical clinics that will see patients for little or no charge. Keep your attorney informed about your doctor visits and your medical problems, and go to any appointments set for you. All of these things help your lawyer make your disability case strong so that when it is reviewed by Social Security, you will be more likely to have a favorable outcome.